Tomorrow, Psalter Café (sponsored by Ekklesia Faith Community) will host it’s first event of 2017 at 4:30pm at That Place Coffee on Pleasant Home Rd. in Augusta, GA!! In 2012, I had the idea to start a ministry that was dedicated to providing Christian songwriters a platform to share original songs of faith. 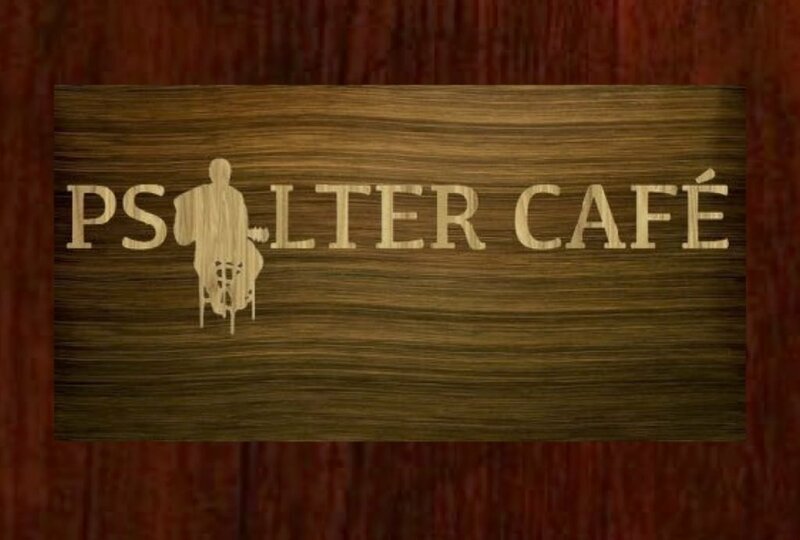 After several weeks of thought and reflection about what to call it, the name came to me, and Psalter Café was born. Psalter’s are elaborately decorative books that celebrate the devotional and liturgical applications of art and song (mostly the Psalms). Being as the purpose of this ministry was to enable people to connect with songs of faith and first person accounts of why they were written, the name seemed to fit like a glove. And so the ministry began, as an extension of Covenant United Methodist Church in Evans, GA. We hosted monthly gatherings, featuring 5-6 regional artists, sharing 2-3 songs and the testimonies behind them. Our following steadily grew from 20 people at the first gathering in June of 2012, to upwards of 80 people at the last gathering at Covenant UMC in October of 2013. In November of 2013, the North Georgia United Methodist Conference made the decision to dissolve Covenant UMC. A core group of people from Covenant UMC made the decision to remain together, rather than look to join other churches. They asked me to continue as their worship leader, and they asked Randy Monk to continue as our pastor. Randy and I both agreed to continue with them, forming a new, independent church called Ekklesia Faith Community. Being as Ekklesia Faith Community does not have its own facility as Covenant UMC did, the ministry of Psalter Café was put on hold until such a time as a permanent location could be determined for it. Over the course of the following 3 years, thanks to the support of John Stoney Cannon at M.A.D. Studios (2014-2015) and John Brejda of That Place Coffee (2016), Psalter Café was able to host several sporadic songwriter showcases to keep the ministry on the map. These few and far between gatherings served their purpose well! While they did not boast the same numbers as the final gatherings of the ministry as an extension of Covenant UMC, they were very heartfelt and served to keep the dream and the vision alive. Much in the same way my parents used to nag me about chores I was putting off as an adolescent, I have really sensed in my spirit that Psalter Café is a vision for my life, about which God has never had any intention of leaving me alone. So, after 3 years of nomadic searching, 2017 has brought a structured schedule back to Psalter Café, altogether with a slightly new format. We will meet monthly at That Place Coffee in Augusta, GA. Most of the meetings will follow the format of a Bible study, taking a single song, and using the lyric and supporting scriptures as the launching point for theological discussion. Every 4th month (3 times per year), Psalter Café will be a songwriter showcase, as it was in previous years. There’s a much, much more starry-eyed, dreamy vision cast for this ministry that would eventually involve it having it’s own 4 walls, a menu, a permanent stage for Christian songwriters (somewhere between those who won the youth group talent show and those on national airwaves) to grow and share their songs, and a social gathering place for families and Christian singles to meet outside of their own church homes. Perhaps eventually a national chain of such places? The sky is the limit with this dream, and only time will tell what God has in store for it. Your prayers, attendance, and support are greatly appreciated as I endeavor to follow God’s leading in this area of my ministry!